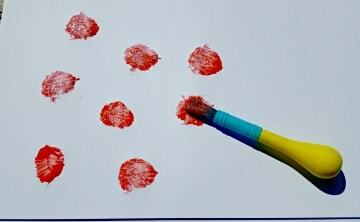 If you’ve ever wondered how to start painting with a toddler, I’m here to tell you that it’s really not that hard! 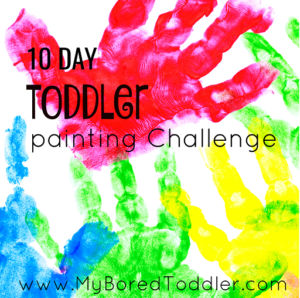 Welcome to Day 1 of our 10 Day Toddler Painting Challenge! You should have everything you need by now so today we’re going to start with the basics. I know many of you have been hesitant to start painting with a toddler which is why today’s activity is going to be SO easy! They will get harder as we go along although our aim is to keep things simple so you keep going for the whole 10 days. Thanks to everyone who has signed up to our challenge (if you would like to join you can sign up HERE). 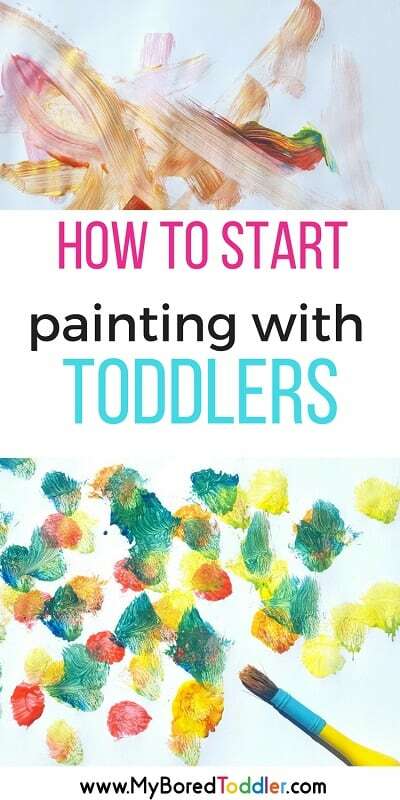 I’ve noticed a common theme when it comes to painting with toddlers and that is that most people are hesitant about it and many of you have never painted with your toddlers. For that reason we’re making today’s challenge really easy. You can find all of the painting items I recommend on this list from Amazon. 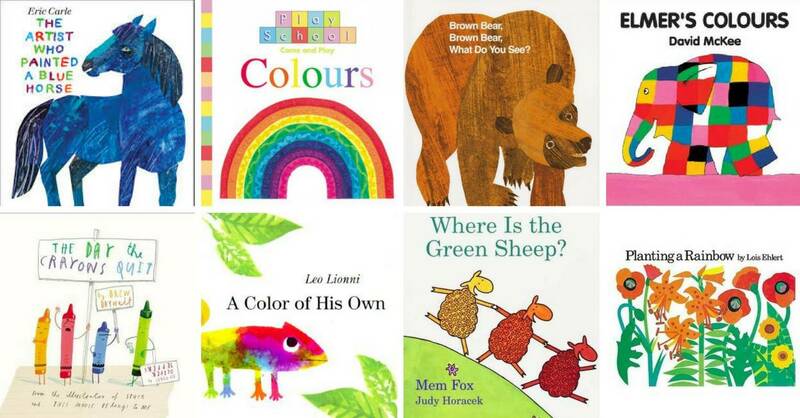 Variety of paint brushes – the thick ones like these are great for toddlers. We’re just going to paint today. That’s it. Nothing fancy. 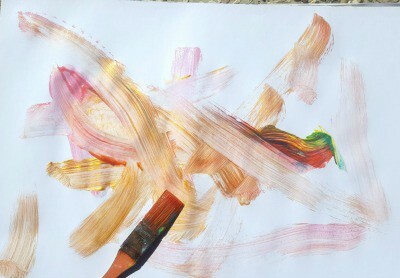 We’re going to get out the paper and the brushes and let the kids play with them and explore them. 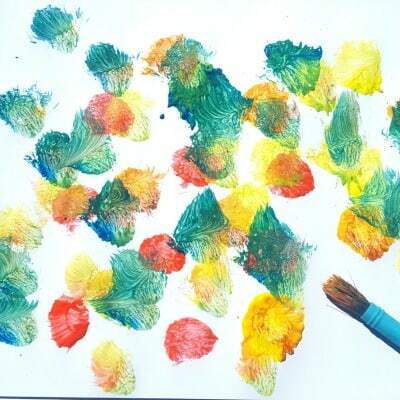 Pull out a variety of different size brushes (whatever you have) and take it in turns letting your child experiment with them. Show them that they can dot with them, draw lines with them, make circles and zig zags but most importantly let them paint. 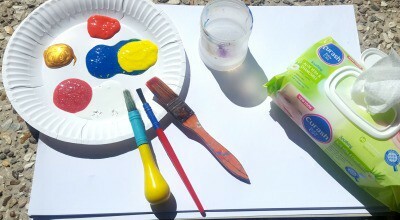 For this activity we used our easel paper but any kind of paper will work and this is a great chance to experiment with different sizes and types of paper too. Aim to create more than one painting (we did about 8) and let them keep going till they get bored with it. 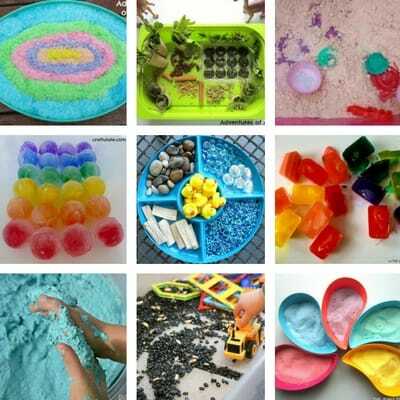 Let them mix the colors and get messy! 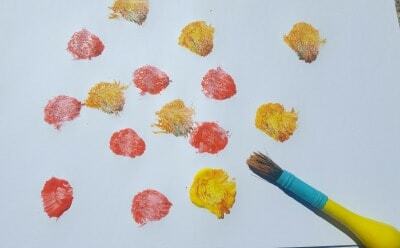 Think of this as a painting invitation to play… you give them the tools and see what happens! I think you’ll be amazed at how much fun they’ll have with just ‘regular’ painting! I’d love it if you share your photos of the challenge in our Facebook group and over on Instagram – use the hashtag #MyBoredToddler so we can see what everyone is up to. I’ll share some of my favourite pictures of yours on Instagram too! Tomorrow we will be stamping with fruit and vegetables so you’ll you’ll need 2 or 3 pieces of whatever fruit and vegetables you have available. I’ll be using oranges, apples and potatoes but use whatever you have – every piece gives a unique ‘stamp’. If you can’t wait for tomorrow’s email you can jump ahead to the activity HERE.